While being of Aurangabad origin doesn’t mean coming from the most primitive locality in India, it could mean ‘no more school’ after grade 4 because there are technically no schools after grade 4 in some regions. 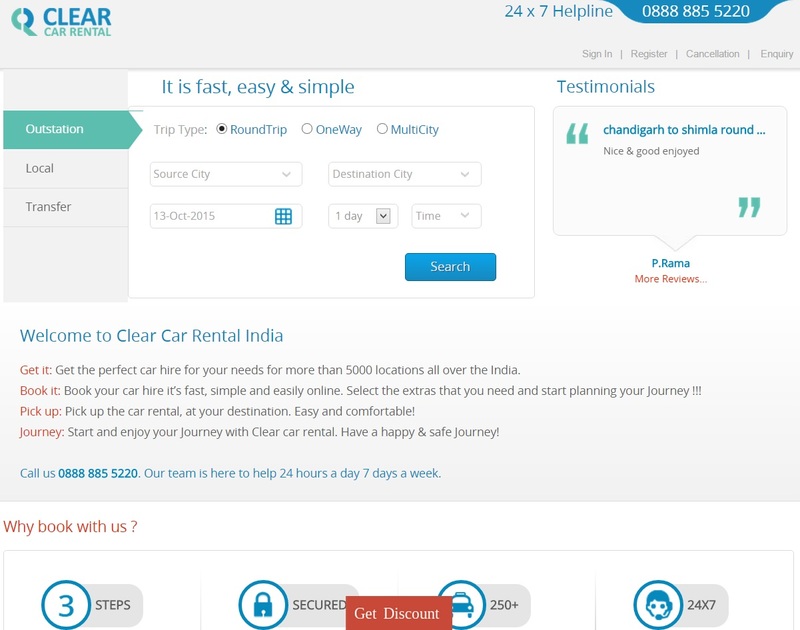 But, for one Mr. Sachin Kate – founder and CEO of Clear Car Rental, the unfortunate reality could not stop him whatsoever from continuing with his education and pursuing his dreams. After finishing grade 4, which was supposed to be the end of the education road for Sachin, just like it was for most of his peers, he couldn’t let his urge fade on so easily, and instead moved to a neighboring region in a family friend’s place to continue with his education. In 11th grade, he secured an office boy job at a computer institute, from where he acquired basic knowledge on computers. He subsequently became an instructor before joining a higher education institution a year later. He secured a web development part time job where he specialized in the travel and hospitality sector. At this point he was on the threshold of a massive breakthrough. Sachin discovered that developers were focusing on hotel bookings and airlines, unanimously neglecting the road travel industry. He realized a market gap and decided to exploit it. In 2010, he launched the Clear Car Rental, a milestone he achieved without borrowing a single penny from friends, family or any financial institution. Over the years, CCR has grown to become one of India’s most spread car rental companies, running in more than 210 cities. It has attracted close to one thousand vendors, and at least 14000 cabs are affiliated to the company. Sachin believes success is a matter of dreams, belief and the amount of effort you employ towards realizing your goal. Did you like the post? Please, share it with friends and help us write many more cool posts like this. Also, don’t miss checking out some of our suggested start up stories below.